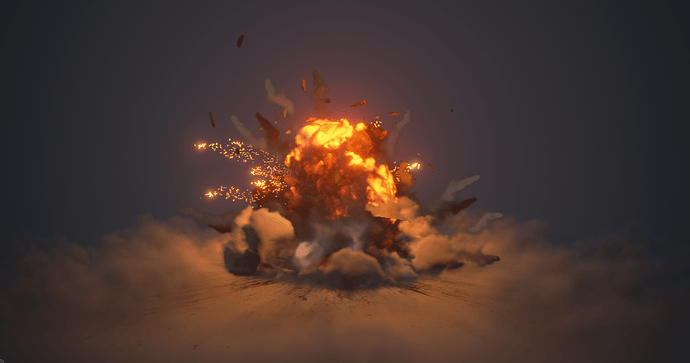 I made a new explode FX in unreal4,hope you like it! Very cool, would love to see a bigger version! 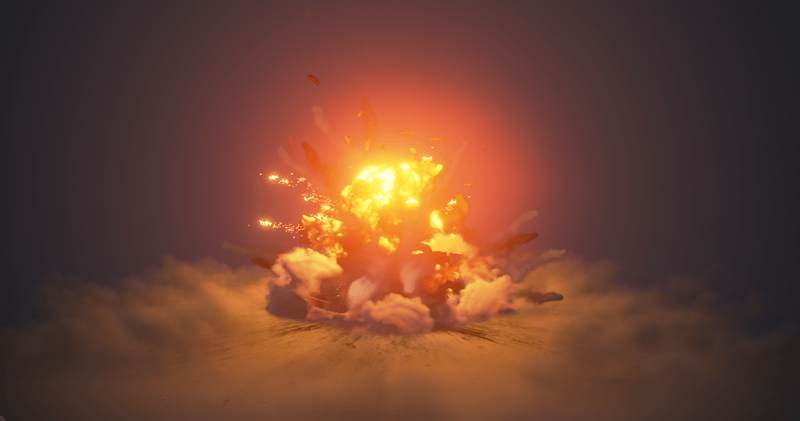 Great timing of the overall blast and radial elements. Smoke could use some better dissipation, the alpha fade is a bit rushed feeling. Some lingering smoke or atmosphere after the fact would be a nice touch. Super cool ! NewBee ! SixSixSix ! I would give the debris fragments a little more varied initial velocity & also vary the gravity on them too (fragments will be of differing materials & mass & surface area so shouldn’t all behave like rocks). This will break up the overall dome shape of the explosion & also help break up the timing of the elements fading out. The fragments should probably have a much longer lifespan so they stay sat on the ground afterwards. The bloom and amount of emissive on this is fantastic! Feel warm just looking at it! It’s looking good, Two things i noticed instantly, The sparks die too abruptly and your smoke fade is too hard. 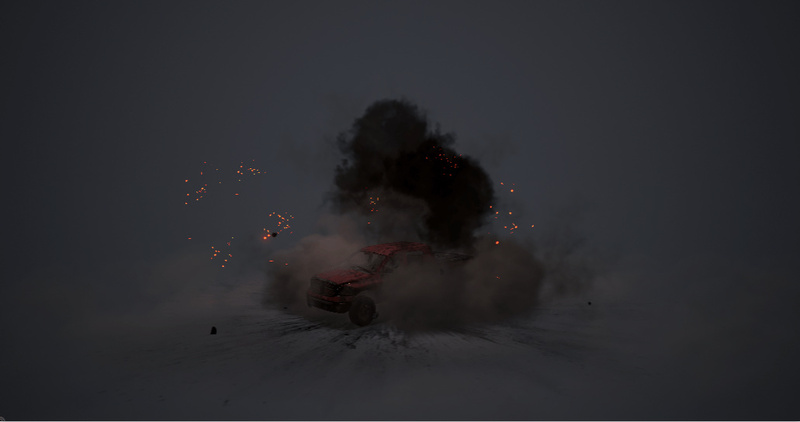 I suggest having the smoke fade in your texture by the last frame or near faded. Overall it’s looking good. Lovely timing etc, One thing i would note, the lingering element is missing.